About 15 years ago Spain became the new frontier for wine in Europe, with a number of emerging regions being discovered by a small group of pioneers not necessarily from Spain. It was a great time to invest in the country, as land prices were still relatively low, the costs of labour and materials was lower, taxes were beneficial and there was growing interest for the wines around the world. Those early pioneers like Alvaro Palacios and Telmo Rodriguez got in at the best time, but had to work hard for very little initial reward. They are now reaping the benefits of their commitment and foresight, and those who followed rode on their coattails (particularly in terms of brand building), but at the same time paid higher prices in general. Unfortunately times are different in the year 2012 as it is well-known. Spain amongst other countries is in deep recession, and things aren’t much better in many export markets. The recent controversy of Pancho Campo only served to highlight the growing reliance on media endorsement, and the exploitability of wine businesses eager to get an edge in an increasingly competitive global market. The pioneers aren’t too fazed, as they are well entrenched in their regions and wineries, and their wines are unlikely to fall out of favour, as long as there is rabid demand to pay full price for allocated wines. I was introduced to two projects of another pioneer and modern icon, the Danish-born Peter Sisseck. When Peter arrived in the Ribera del Duero back in the 1990s, there was one and only one reference for quality and cult status; Vega Sicilia. Otherwise there weren’t many who were making truly exceptional wine. It was his dream to produce a truly world-class terroir driven red wine that would be the envy of the world. He wanted to do things like never seen before in Spain, and to create such a wine he would have to make sacrifices. The first was to only choose the finest vineyards, and make wine from vines at least 60-80 years old. He wanted to work closely with viticulturalists to ensure the healthiest vines that could reach maturity and concentration levels unheard of in this part of the world, and to do so eventually using biodynamic practices. Low yields were critical to achieve the quality, and today these old vines produce 2-3 tonnes of fruit per hectare. Now consider the fact that the Pingus (Danish for Peter) vineyards total 4 hectares. This means that for each vintage there is only about 10 tonnes of fruit. Is it any wonder that these wines are literally fought over, and are effectively pre-sold ahead of the bottling? 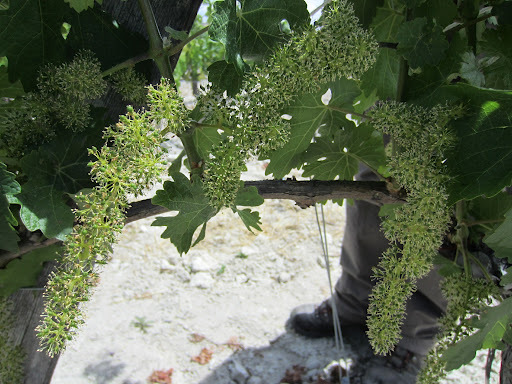 Luckily there is also the Flor de Pingus, which is made in slightly larger volumes thanks to larger vineyard areas. The Pingus winery. Yep, that’s it. Word to the wise, don’t try and find the winery, because it is almost impossible. It is located in the middle of Quintanilla de Onesimo on the banks of the Duero River, in between a residential and government building. There is no signage, and even with the address it is hard to work out which street it is on. 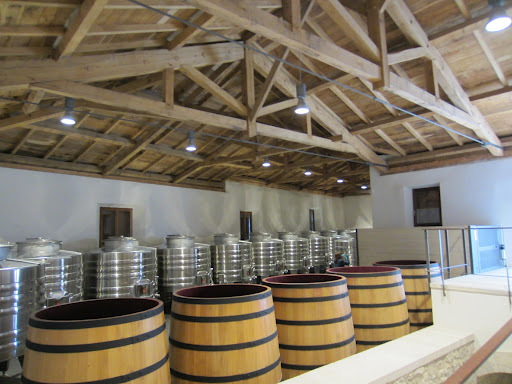 The winery is tiny; only four oak fermenters are used for the Pingus and another ten steel ones for the Flor. One of the interesting things about the Pingus is that not only does it have a spontaneous fermentation; it also has no temperature control throughout the fermentation and maceration process. Before malolactic fermentation starts the wine is transported to new barrels and after a while the blend is finalised. 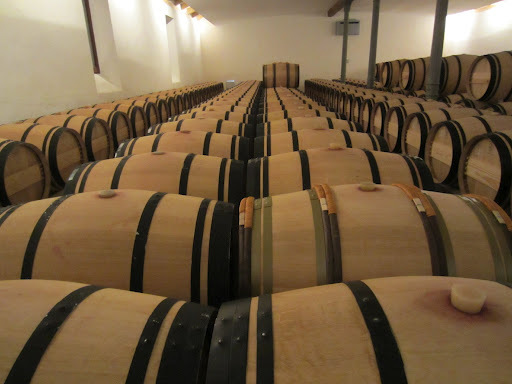 Only the finest French oak is used, predominantly new, and the wine is kept in barrel for up to two years before bottling. There is such high demand for the Pingus wines that it is a good thing they are released quite young, with the 2009 on the market now. When you taste the wines it is obvious the attention to detail and the hard work that has gone into establishing the style. When I first tasted the Pingus, I was blown away by how massive the wine appeared, and without knowing it I couldn’t understand or appreciate it. With a lot more experience from my trip, and learning and discussing the wine with the oenologist, I was able to see the personality in an even younger wine. If anyone understands his wine it is Peter and his team, who have an amazing lab to investigate every element in the process to best guide the wine into the future. Pingus fetches prices in excess of AUD $1000, and is one of the most collectible in the world. My goodness does it need ageing though; you can barely touch it until it is at least 10 years old. Here are my notes on the tasting. In the late ‘90s Peter began to explore the option of a new winery, only seven kilometres away but outside of the Ribera del Duero DO. 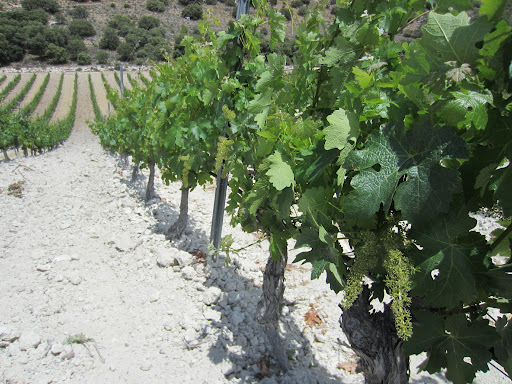 On the hillsides of Sardon del Duero many years ago there were vineyards planted, taking advantage of both north and south-facing aspects, and a variety of soils including clay, alluvial, colluvial, calcareous, limestone and even gypsum. Back in 1982 when the Ribera del Duero DO was being created, the mayor of Sardon decided that there was no need to be part of it as there were a smattering of vineyards on the hill and nothing more. This was part of the reason why Peter wanted to establish Quinta Sardonia here, and he went about building a winemaking facility using the same principles as Dominio de Pingus. Whilst the commitment to quality was the same, the object of the wines was different, as Peter wanted drinkable wines that people could afford. A classmate of both Bertrand Sourdais and Ricardo Palacios, who had joined Peter at Pingus many years before, was given the privilege and responsibility of running the estate; managing the vineyards for both brands but also the winemaking of Sardonia. Jerome took me up to vineyards planted to a blend of tempranillo and a range of Bordeaux varieties like cabernet sauvignon, cabernet franc and merlot. Similar to the Dominio de Pingus model there is a Quinta Sardonia wine and the QS2, with the best fruit going to the first. The vineyard model is to field blend, and terroirs are fermented rather than varieties. As the vineyards were completely planted fresh, they could be designed as biodynamic right from the start. 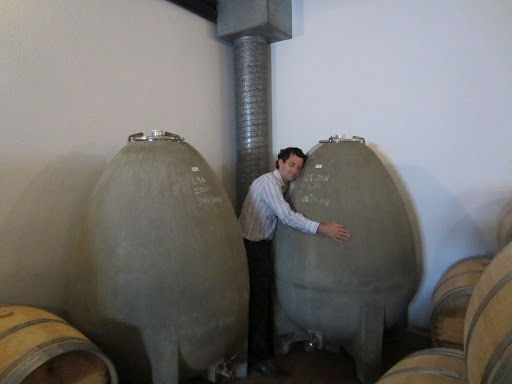 Like so many other biodynamic producers I have encountered on my trip, I was very tickled to find some cement eggs down in the cellars. Jerome is passionate about making fresh wines that express the terroir but are superbly drinkable, and he is doing a pretty good job of it. He took me through a tasting of some 2011 wines from barrel to show how the Quinta Sardonia wine was influenced by new and old barrels, and then how the blend finished up with the 2009 and 2010 vintages. After the tasting we shared a very nice casual yet typical lunch in the hostal back in town, before I drove into Valldolid for the night which included a solo tapas tour. Click here to read my notes from the tasting. Click here to see more photos from Day Two in the Ribera del Duero. My final day in the region is to two of the most important historically and philosophically.